A German soldier who falsely registered as a Syrian refugee has been arrested for planning a terror attack. Investigators believe the lieutenant was motivated by a “xenophobic background”. Tens of Thousands joined todays protests against the party convention of the fascist AFD party in Cologne, Germany today. #NoTDDZ #Karlsruhe: We Have Lined Up to Prevent the Nazi March! On June, 3rd, 2017 Nazis from all over Germany and beyond will try to march through Karlsruhe. The reason is the so-called “Tag der deutschen Zukunft” (“TddZ”), which the Nazis of the fascist party “Die Rechte” want to bring to Karlsruhe this year. 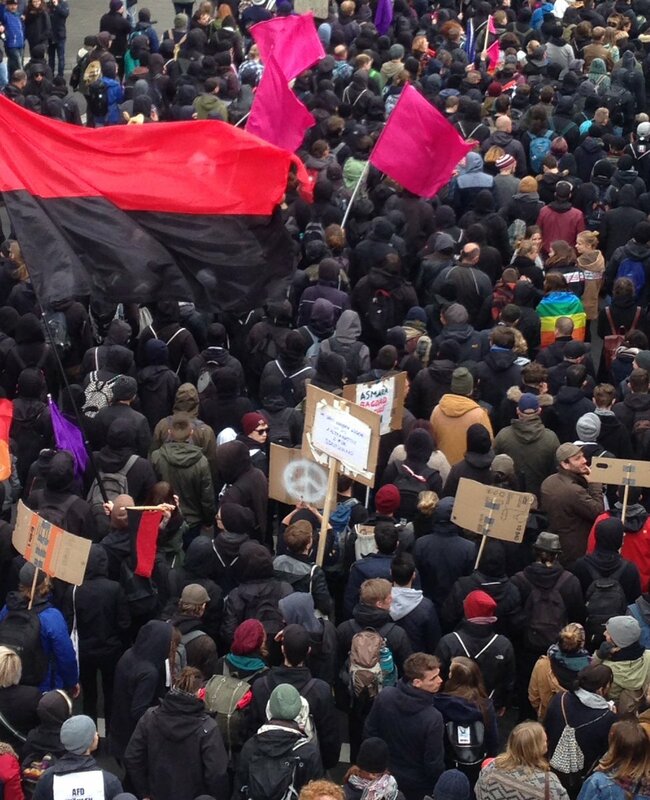 Continue reading #NoTDDZ #Karlsruhe: We Have Lined Up to Prevent the Nazi March! 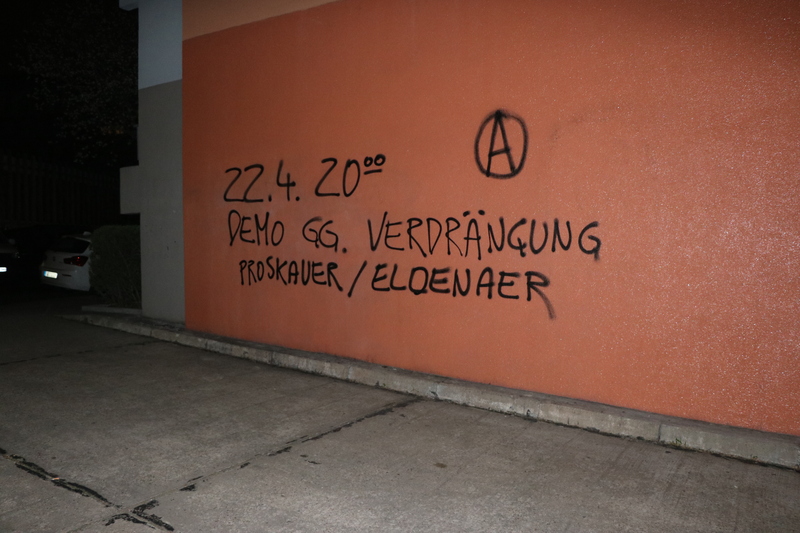 On April the 22nd there will be a demonstration in Berlin against gentrification and the for the termination of the peace with the rich and powerful. The demonstration is also the the start of a week of action for Friedel 54. 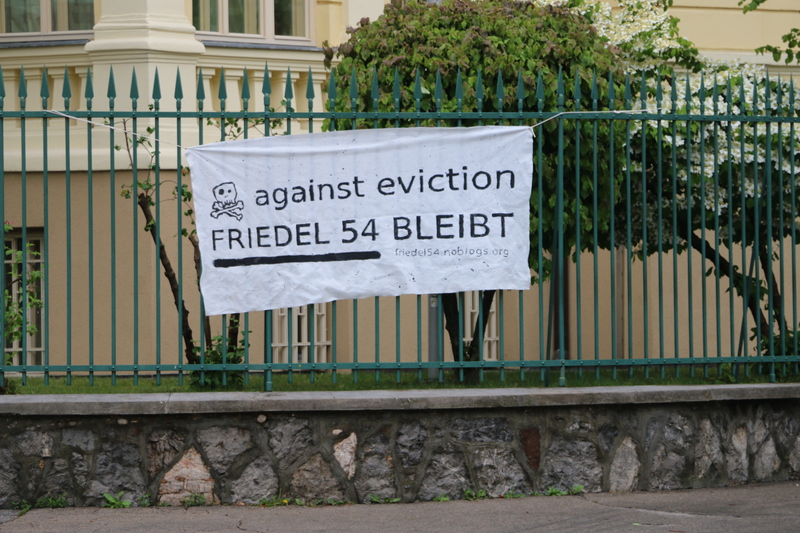 Friedel 54 is under threat of eviction. #Berlin: 22.04.-30.04: #Friedel54 Action Week! 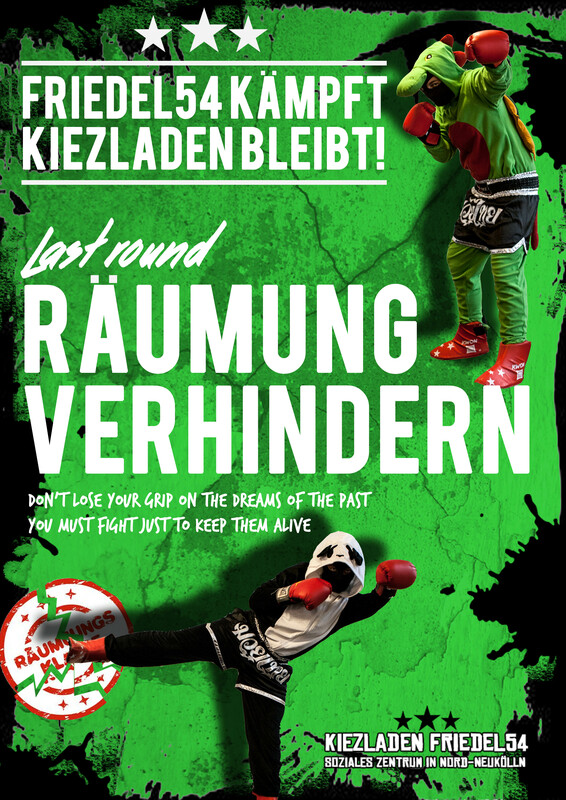 Continue reading #Berlin: 22.04.-30.04: #Friedel54 Action Week! 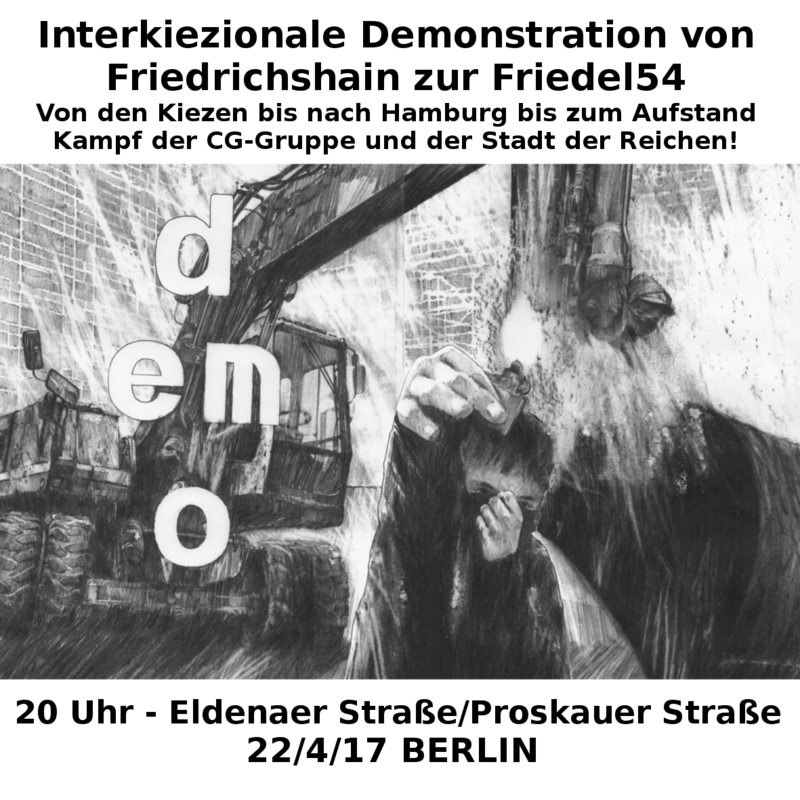 Interkiezionale demonstration for the termination of the peace with the rich and powerful April 22nd 2017 // 20:00 // Corner of Eldenaerstr and Proskauerstr, Berlin. 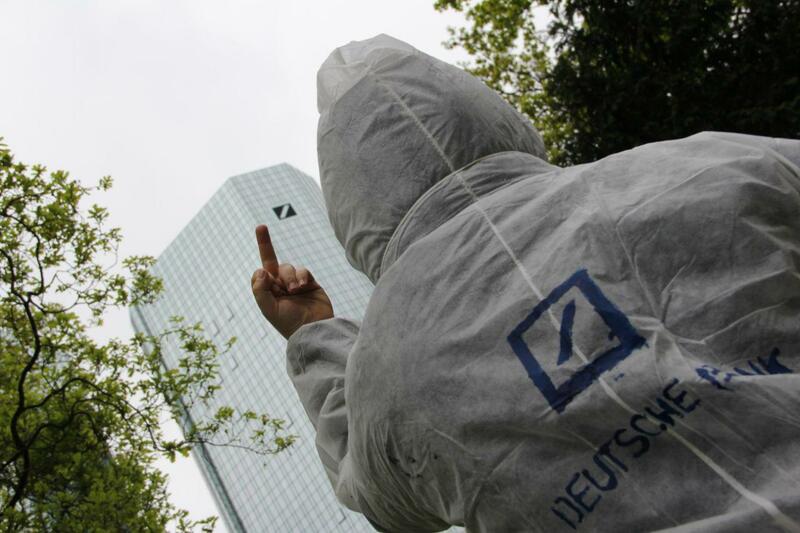 Ums Ganze and Anarchist #NoG20 Call : Shut Down the Logistics of Capital for the Upcoming G20! We publish the No G 20 call by Ums Ganze feat. GROW and a video with an anarchist No G 20 call we have found in the internet. 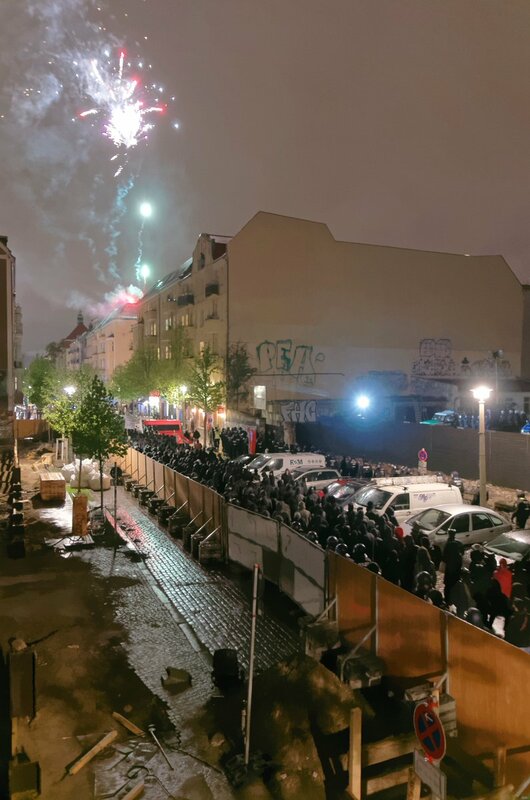 Continue reading Ums Ganze and Anarchist #NoG20 Call : Shut Down the Logistics of Capital for the Upcoming G20! #NoDAPL: Frankfurt Stands With Standing Rock! Continue reading #NoDAPL: Frankfurt Stands With Standing Rock!